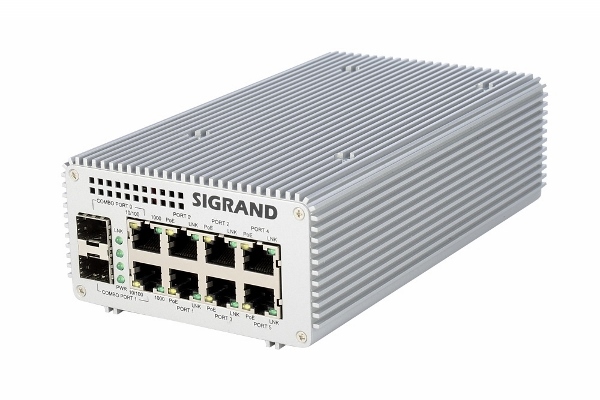 All Sigrand cameras with Ethernet interface have built-in three-port switch, which allows to optimize the cable structre to connect them to chain with transit power from a single port PoE. 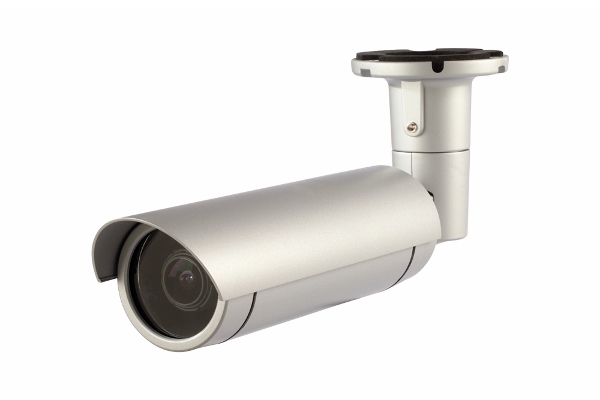 Maximum number of connected cameras at no great length segment 12 pieces, and up to 5 pieces at a maximum segment length of 100 meters for Ethernet. 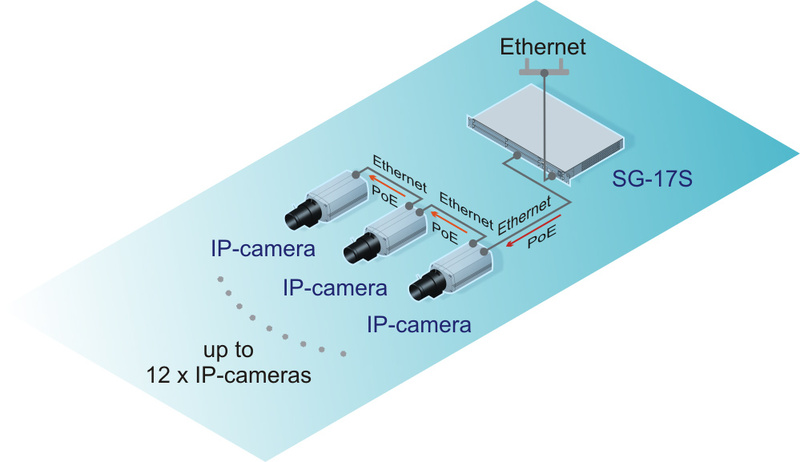 The maximum length from PoE injector to the last cameras - 500 meters. 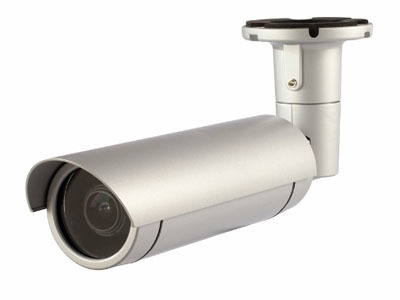 The cameras are connected to the MS-17E8PP modules with 8-pots Ethernet interface and passive PoE up to 60W. 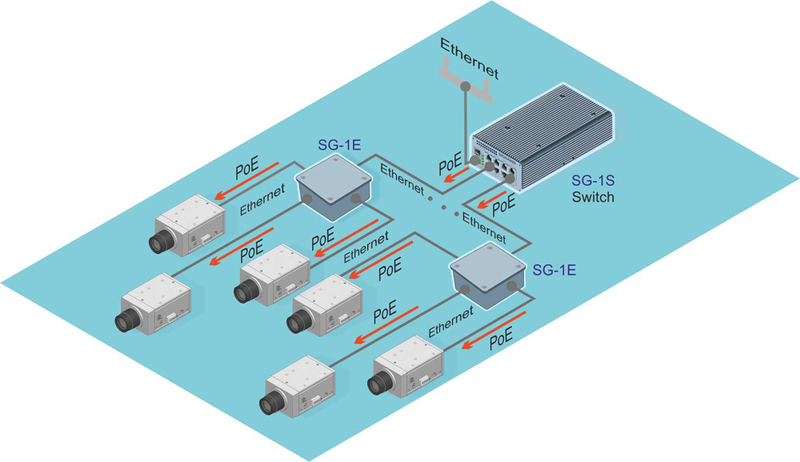 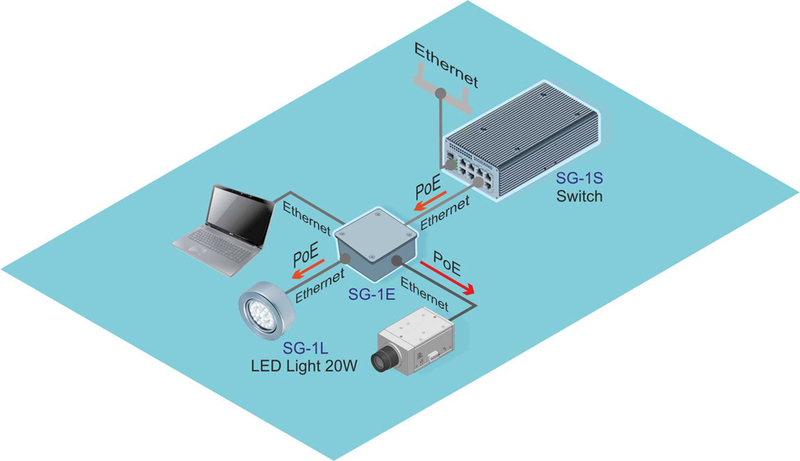 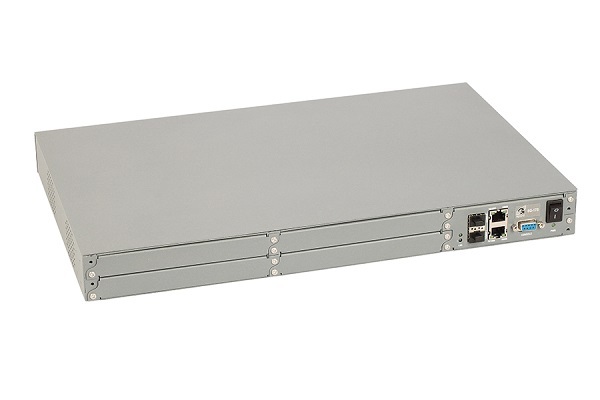 SG-17S switch is connected to the data network via Gigabit copper or optical Ethernet interface.